September 13th 2015 saw the first ever academic conference on the writing of Elizabeth von Arnim, organised by Jennifer Walker, Isobel Maddison and Erica Brown. 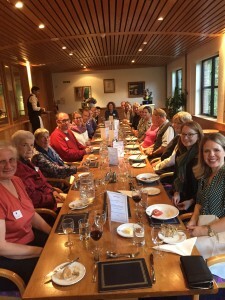 An international crowd arrived at Lucy Cavendish College and, from the outset, it was clear this was going to be a successful and stimulating day. Academics from the United States, Australia, and Turkey (amongst others) were joined by von Arnim enthusiasts as well as by Gayle Richardson – the keeper of the Countess Russell archive (one of von Arnim’s many names) at the Huntington Library, California. It was a pleasure to meet Gayle and to hear her speak of the collection; this is a rich resource for scholars that remains, as yet, reasonably unexplored. The day was made particularly special because three members of von Arnim’s family attended: Jamie Ritchie, Caroline and Hugh Gathorne Hardy. Their personal insights were illuminating and their pleasure at finding von Arnim so well-regarded by academics was evident. Jennifer Walker had produced a large and detailed family tree which helped everyone work out just who was who. And thanks are due to David Norton who kindly loaned the conference a previously unseen photograph of a 3 year old Mary (Elizabeth von Arnim’s original Christian name). Fifteen varied papers offered fresh insights into von Arnim’s better known novels, Elizabeth and Her German Garden (1898), The Enchanted April (1922) and Mr Skeffington(1940). Several papers addressed far less familiar texts: Father (1931), ‘The Pious Pilgrimage’ (1900), Introduction to Sally (1926) and In the Mountains (1920). Some considered von Arnim’s work alongside other authors including Marianne North, George Bernard Shaw, Max Beerbohm and Barbara Pym. 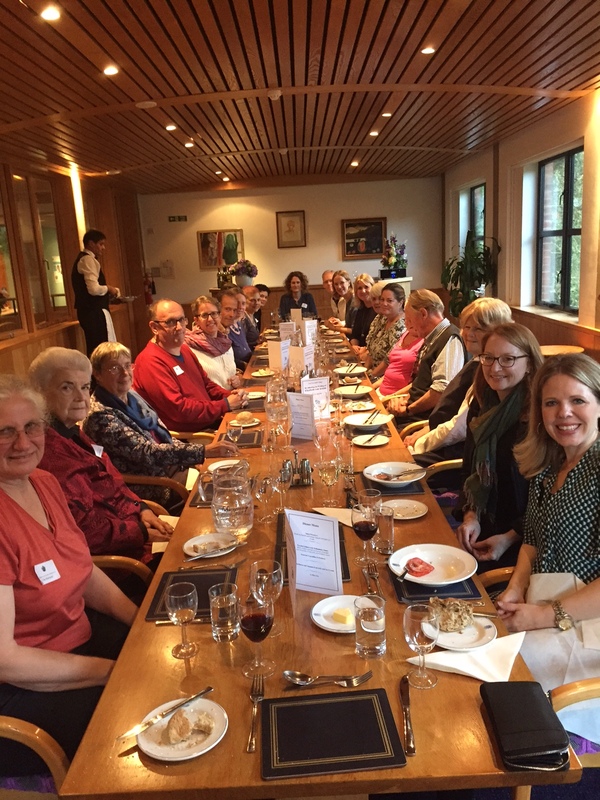 The final plenary session considered the ‘way forward’ and there was enthusiasm for another conference and for the creation of an Elizabeth von Arnim Society – already in hand. Publications are likely to follow with an edited journal but, for now, it was simply a pleasure to discuss von Arnim in a ‘collegial’ atmosphere with a group of well-informed and engaged people who could quote her more witty statements by heart. A lively conference dinner was an excellent end to a memorable day.